A director's all-hands meeting will be held on Friday, Dec. 18, from 2 to 3 p.m. in Ramsey Auditorium followed by an all-hands celebration in the atrium. All employees, users and contractors are invited to attend. The west parking lot is currently under construction. Please obey signage and allow extra time if you travel in this area. 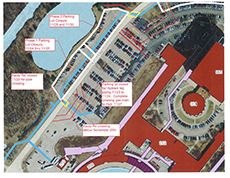 Installation of the new industrial cooling water pipeline is scheduled near Wilson Hall until mid-December, with minor restoration work continuing through the end of the year as weather permits. 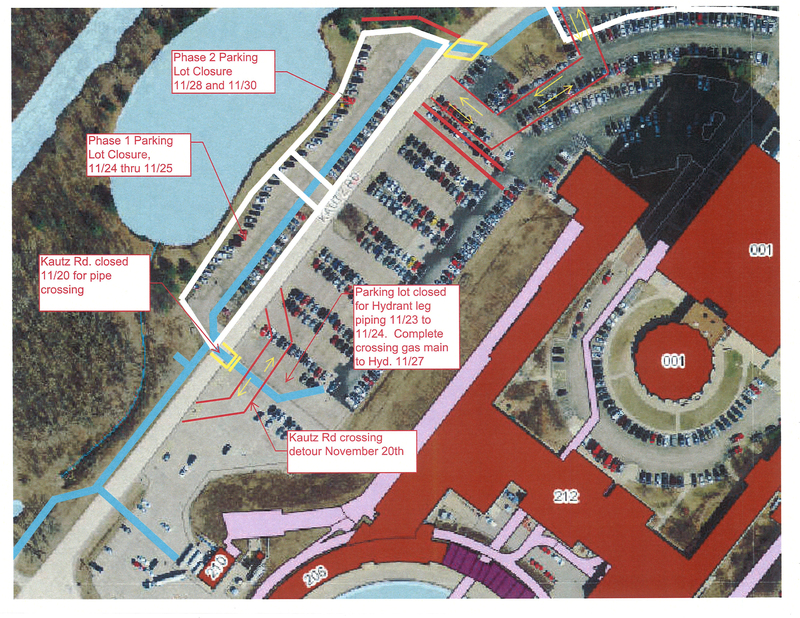 Over the next couple of weeks, please be aware of road closures, parking lot closures and traffic rerouting in and around the west parking lot of Wilson Hall. Be sure to allow extra time if you travel near this area and follow directional signage, which will change frequently. All employees should submit their timecards by 10 a.m. this Friday, Nov. 20. Supervisors should approve them by noon on Friday. If you forget to submit them early, you will likely receive a friendly reminder call or email from the Payroll Department. As recognized by this year's Nobel Prize in physics, evidence now points to neutrinos having mass (see 7 October 2015 Focus story). But this opens up new questions about why the neutrino mass is so much smaller than other particle masses. One solution is to assume that the neutrino is a different kind of particle — one that is its own antiparticle. A new theoretical study shows that observations of W boson decays at the Large Hadron Collider (LHC) in Geneva could potentially uncover the antiparticle nature of the neutrino. You may have heard LBNF/DUNE described as "the first truly international megascience project hosted by DOE in the United States." And you may have (rightly) wondered: What does this really mean? What makes LBNF/DUNE different? Also recently appointed head of Fermilab's Theory Department, she holds a professorship at the University of Chicago, is a fellow of the American Physical Society, has served on the U.S. Particle Physics Project Prioritization Panel, is the recipient of an Alexander von Humboldt Research Award and is currently vice chair of the APS Division of Particles and Fields. As international relations director, Marcela will promote contact and collaboration with global partners, establishing new ties and strengthening existing ones. As she develops a strategy for international engagement, she'll interface with agencies both here and abroad, including the United Nations, the State Department, the Department of Energy and the National Science Foundation. 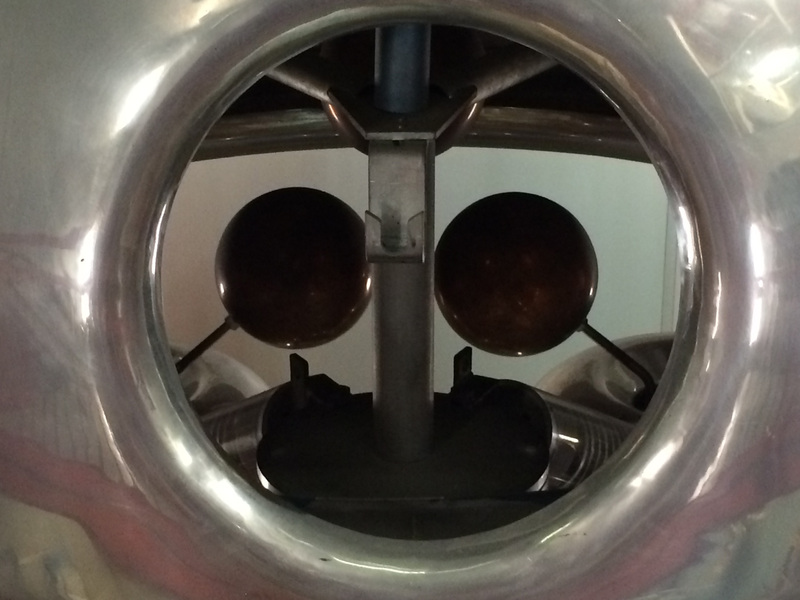 She will also be in regular contact with the CERN directorate. Fermilab is moving into a new era, one in which we hope to host the country's first truly international megascience facility. We are all energized by the fact that Marcela has agreed to help develop and implement the international strategy that will be critical for LBNF/DUNE success. Please wish Marcela success in her new role.